Come join us as we talk family, books and unexpected adventures. Heather: Hi Christina ~ thanks for being my pen pal this month. We’ve been connected on social media for quite a while but I think our friendship was sealed last year when I posted that my son was in London for the first time and you offered to be a contact person for him in case he needed anything. It’s never easy watching your child head off into the world, but knowing that there was someone he could reach out to meant more than you can ever know. So again, thank you! I was lucky enough to get a sneak peek of your novelTHE NIGHT OLIVIA FELL and after the first page knew I was reading something special. 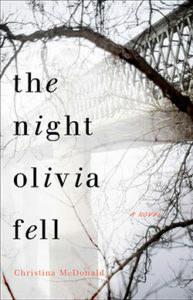 Compared to BIG LITTLE LIES and RECONSTRUCTING AMELIA,THE NIGHT OLIVIA FELL is the story of a mother desperately trying to find the truth behind how her daughter ended up brain dead and pregnant. Where did the idea for the novel come from? 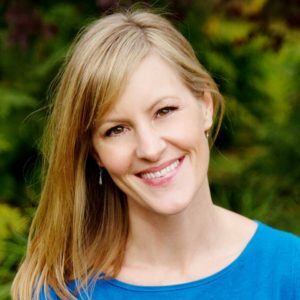 Christina McDonald: Hi Heather! So lovely to be here and chat with you! I remember seeing that your son would be in London and thinking I would offer what help I could. My son had recently been in France and it was such an unsettling experience! I’m so glad you enjoyed THE NIGHT OLIVIA FELL! I had the idea shortly after I gave birth to my youngest son. I was rocking him to sleep and reading the news on my phone. That day a 13-year old girl in California named Jahi McMath had become brain dead after a routine surgery to have her tonsils removed. I clutched my baby tighter to me, horrified. I remember thinking about Jahi’s mother, how devastating it would be to hold your child in your arms, to watch her take her first steps, cut her first teeth. To have her savagely ripped away. Losing your child is every parent’s worst nightmare, and I imagined myself in her shoes. I started asking myself ‘what if’? What if the teenage girl had been pregnant? What if she was murdered? What if nobody would listen to her mother? I created a character around the story I was forming in my head and THE NIGHT OLIVIA FELL was born. What about you? How did you come up with the idea for BEFORE SHE WAS FOUND? Did you know how it was going to end before you started, or did the story sort of evolve as you went? Heather: Wow – the story about Jahi is just devastating! I can see why it has stuck with you over the years. LikeTHE NIGHT OLIVIA FELL, the nugget for BEFORE SHE WAS FOUND came from a news story about three young friends, an urban legend, a terrible crime and evolved through a series of what ifs. As with most of my novels, I thought I knew how the story was going to end but somehow the characters always take me in a very different direction. I actually really like this aspect to writing ~ the unknown journey. It makes every day I sit down to write an adventure. A messy adventure, but a lot of fun. I read that you grew up in Seattle one day you randomly bought a plane ticket to Ireland and ended up moving there to attend school. I wish I had the courage to do something like that! You eventually settled in London with your family. Have you always loved traveling and in what ways have your travels impacted/influenced your writing? Christina: Great question! Before I moved to Ireland I went backpacking through Europe. When I landed at Heathrow in London I was exhausted, and as I stumbled out of Arrivals I saw an Aer Lingus desk. I hadn’t booked any accommodation or made any plans so I randomly bought a ticket on the next flight to Ireland. While traveling there I ended up in Galway, where I learned they had a great MA in Journalism program at the university. So when I got back to Seattle a few months later I applied, and got accepted. Three months later I had sold all my stuff and moved to Ireland! I’ve always loved traveling and been a little intrepid, although the urge to travel has been a bit tamed for now as I have young kids. I think traveling has really opened my eyes to the different ways people do things. We all think we’re absolutely correct about our beliefs, but somebody else might feel the same way. So I think, I hope, it’s made me a more open-minded person. And I’ve met such amazing people along the way. I love that you’ve placed all of your novels in different locations all around Iowa! It gives a reader such a sense of your love for your state and such vivid portrayals of the settings. Are these real places or fictional? What makes you choose these particular towns? Do you think you’ll ever set a book outside of Iowa? Heather: I love your travel story ~ now that I’m an empty-nester it makes me want to be impulsive and run off to far-away lands! That said, I’m definitely a homebody. There is no place I’d rather be than in my beloved state of Iowa. They say write about what you know and I know Iowa! As a fly-over state, I don’t think the public at large realizes just how beautiful Iowa is. We have the Mighty Mississippi, craggy bluffs, small towns, big cities, rolling hills, forests, caves, farmland – perfect settings for my novels and so much variety. The primary settings in my novels are fictional Iowa towns but are often based off of real locations – a little nod to the places and people I love. I never say never – if I have a story to tell that is best told outside the boundaries of Iowa, I will gladly pack up my pen and paper and go explore. The UK Kindle edition will hit virtual bookshelves on Feb 7, 2019 and the UK paperback will hit stores on March 6, 2019. I can’t wait for others to read it so I can talk to them about your amazing novel! Where can readers connect with you? Again, thank you so much for taking the time to visit with me ~ I hope one day to be able to meet in person! Christina: Thank you so much, Heather! It’s been lovely getting to know you and yes, I can’t wait to meet you one day in person!